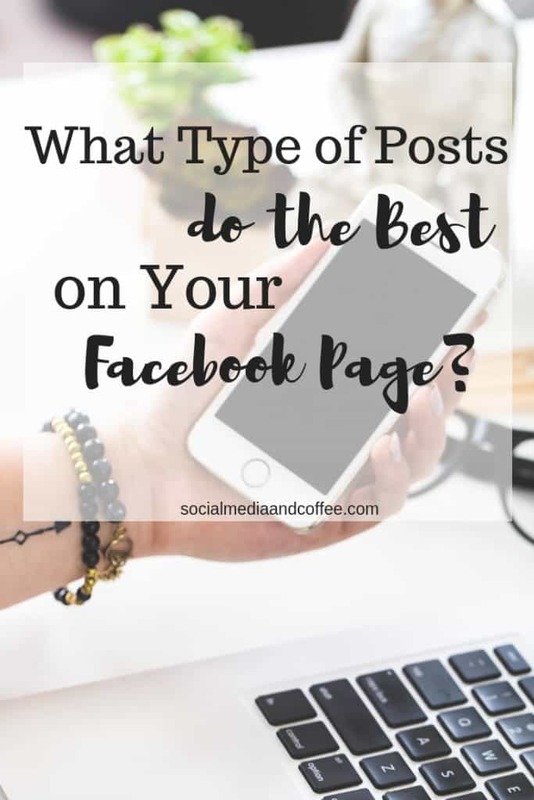 What Type of Posts do the Best on Your Facebook Page? Since we all want our business’s Facebook page to be GREAT, let’s take a look at what KINDS of posts are the most successful on that platform. After all, we are putting in the time to manage and run our Facebook page, don’t we all want to be putting up posts that will do well with our audience? There are 2 things that determine what does well on your Facebook page. 1.What do people ENJOY seeing on your Facebook page? When people enjoy certain kinds of posts, they engage with them (Likes, comments, and shares). These engagements make your post reach even more people. 2. What does Facebook REWARD on your page? Facebook “likes” certain kinds of posts more than others, and will therefore “reward” you by serving your post to more and more people. WHY are people on Facebook in the first place? WHY are they following a brand at all? WHAT are they hoping to gain by following any brands? People are looking for CONNECTION. They want a personal connection with the company they are following. They want to see WHO is behind the company. They want to see your personality. They want to get to know YOU and trust YOU. Nowadays, with social media so prevalent, people buy from you and become loyal customers when they know YOU the best. This impacts what kinds of posts they enjoy. Why does Facebook Live do so well? It doesn’t get much more personal than talking to your audience live! Your audience gets a real, sometimes unpolished look at you, your space, your life, and your people. They get to interact and ask questions with you live. Also, Facebook itself highly rewards live video. They will serve this video to a vastly larger crowd of people than anything else you do. Many Facebook gurus suggest going live on your page 2x per week. And for maximum effect, try to make your live videos 15 minutes or more. It takes a little bit of time for your audience to find you! If you’re only live for 3 minutes, they may miss the chance to interact. Sure, they can watch the video after the fact, but the FUN is hearing from them live! I know it can seem daunting to be on live video, but keep in mind that your videos don’t even have to be about your business! If the main point is for your audience to get to know YOU, you can give them a glimpse into any part of your life. For example, we all love The Pioneer Woman, right? Well, we love more than just her cooking. (Though her cinnamon rolls are hard to beat!) We want to see her ranch, her basset hound, her hair and nails, the mercantile, her house, and even her lipstick! We want to get to know HER. Even though her brand is her cooking. For some ideas on how you can best use Facebook live, head to this post here. For the logistics of making your Facebook Live video happen, head to this post. For some tips on making the very BEST live video, head here. Facebook chooses to give ANY type of video more reach than a static post would have. (Though the reach is still not as good as LIVE video). Also, your audience is generally more attracted to a video. As they are scrolling through their Newsfeed, a video is eye-catching. It will be more likely to draw them in and encourage them to interact. Here’s a Protip for you: Put captions in your video. This way people are able to participate and watch your whole video, even if they can’t (or don’t want to) have the sound on. You will find that more people will engage with your video if there are captions. These are simple to add. Once you load a video into Facebook, there’s the option to use Facebook’s auto-generated captions. This simplifies the process a lot. HOWEVER, you must watch through the video and edit the captions. They will not be completely accurate. But they are a good starting place. These are actual photos of you, your people, your company or products, your dog – whatever the case may be! Don’t stress out about the quality of the photos. A simple iPhone shot will be fine! Once again, think about the level of personal connection. People know YOU better through a photo than they do through a stock photo or an inspirational quote. Eye-catching visuals are always a great thing. They draw people in as they are scrolling their Newsfeed, and encourage them to see what’s going on in your business. Head to this post for some instructions on making a great graphic VERY quickly. Note that Personal photos will generally do even better, but these are next on the list. HOWEVER, they are worth testing out now and then. Facebook serves people the same TYPE of posts that they generally interact with. So if you have some people in your audience that tend to comment on text posts, they will be served yours too! I think about my husband on this one. He’s the type that NEVER noticed the enormous, flashy displays in a store. He breezes right by the big headlines at the top of an article – completely ignoring them, and heads straight for the small print. But that’s how his mind works, and that’s what he’s drawn to. Some people really like plain text, so give it a shot on your page and see what happens! One final note on your Facebook posts: Consistency is KEY. Facebook, and your audience, is looking for you to BE THERE. So whatever types of posts you are putting up, make sure you are regularly there, doing your thing. Your people will get to know YOU, trust you, and thereby turn into loyal fans. Want to remember this? 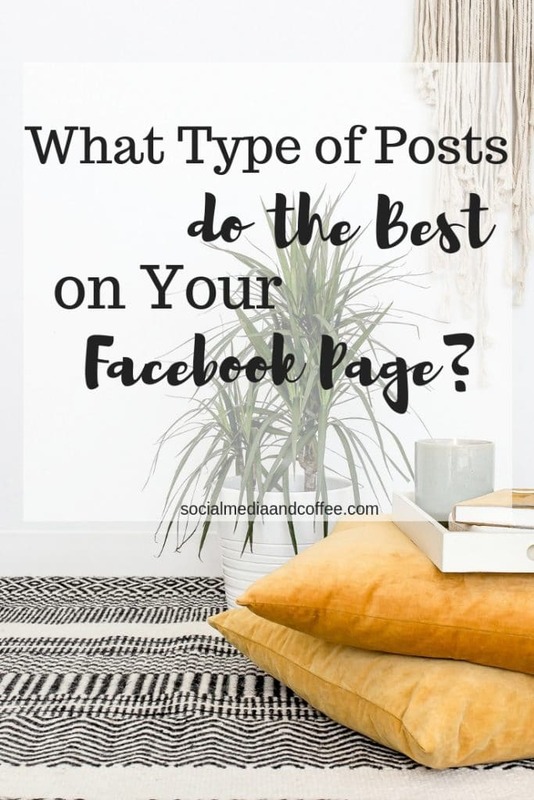 Post this “What Type of Posts do the Best on Your Facebook Page?” article to your favorite Pinterest board!